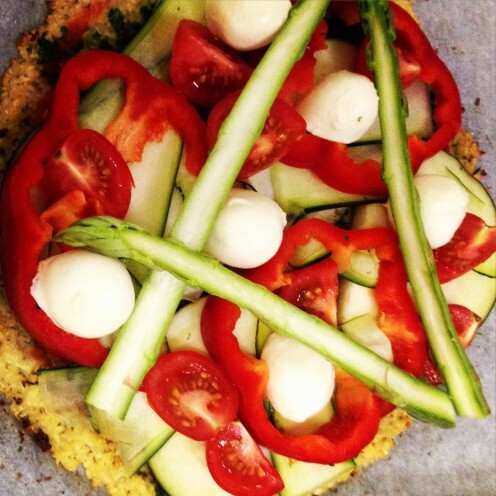 Gluten Free, Delicious, Healthy and Easy Cauliflower Pizza a must try! The word pizza is believed to have been first recorded in the 10th Century in Latin as the word Pinsa which translates to flatbread in central Italy. Pizza is generally a dough or bread topped with sauce and cheese then baked. Pizza now-days is topped with a variety or meats and vegetables and has also extended to numerous types of bases and sauces. The most notable modern pizza first came from Naples in Italy with Antica Pizzeria Port'Alba in Naples regarded widely as the very first pizzeria. In line with legends the Margherita pizza was one of the most famous and was invented in honor of the Queen Margherita, she requested a pizza decorated in the 3 colours of the Italian flag (made up of basil, cheese and tomato). This is also regarded as one of the most traditional styles of pizza. Pizza then migrated to the USA in around 1905 which sprung about many chains of pizza stores which has now spread worldwide and is enjoyed by almost everyone. Pizza is found in many restaurants and cafes as well as can be purchased from all supermarkets either fresh or frozen for your convenience and is also easily made at home with the convenience of already made sauces and bases; making it a common household staple for easy and quick meals. The best part of pizza is that different cultures around the world have different types of pizza which are all very unique to the cuisine, but equally delicious and full of flavour. 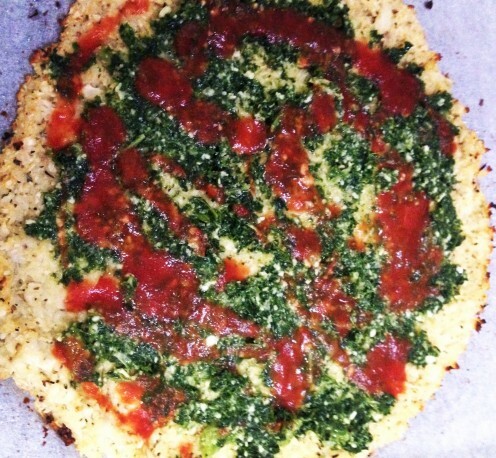 Not only are there different types of pizza including the toppings and bases in which they are used, there are also other forms of pizza that have evolved such as a Calzone, and different styles as a Pizza Bianca (does not have a tomato sauce base) or now the ever popular BBQ sauce base, and Pesto also becoming more popular. In Japan they have Okonomiyaki which appears like a pizza, but is essentially a savoury pancake that contains many different ingredients and sometimes even noddles, cheese, seafoods and meats, although this is quite different to a traditional pizza, it is now becoming more popular as the Japanese pizza. In India they have the Naan, which is essentially served with a curry, but now with all the different flavours it is topped with or filled with, it is perfect as a small meal or snack on its own. 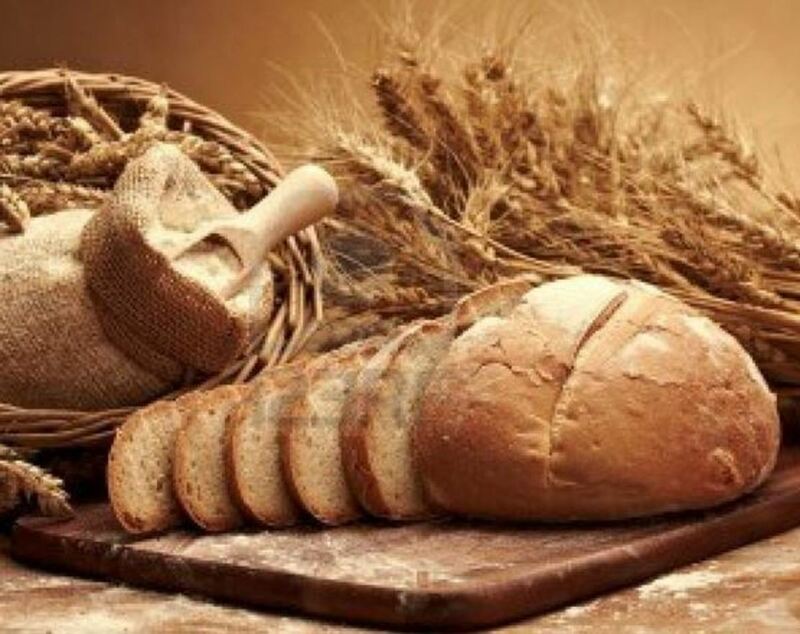 In Greece, they commonly have the elements of a pizza Bianca with garlic, herbs, olives and olive oil on focaccia. In the Middle East they commonly have a Lamb Pide which is essentially a pizza, but features such beautiful flavours that go with the lamb, such as mint and pomegranate or sumac, this is a perfect way to use up any left over lamb roast. Whilst this is a little sample of what can be found world wide, the world really is your oyster when it comes to pizza and sometimes just creating unique toppings from another culture can be delicious enough to make it your own specialty - Nacho Pizza anyone? Pizza becoming common as a food chain staple means it doesn't always have the positive response as most view it as a greasy unhealthy mess. Through this there has now been an emergence of healthier and low carb options such as the potato base, cauliflower base (as is this recipe) and also people taking on pittas, crackers and breads to form the bases or just using a big slice of eggplant or another vegetable to give a few examples. Also there are now fruit pizzas with watermelon being the base, and other fruits topping the watermelon with a greek yoghurt or cream cheese being the topping. Not only have you seen it all with all of these types, but there is an increasing trend of desert pizzas generally being a sweet dough topped with Nutella, chocolate, marshmallows and fruit. These are all very exciting and I don't think anyone can say they don't like pizza when so many different types, there is at least one pizza for everyone. 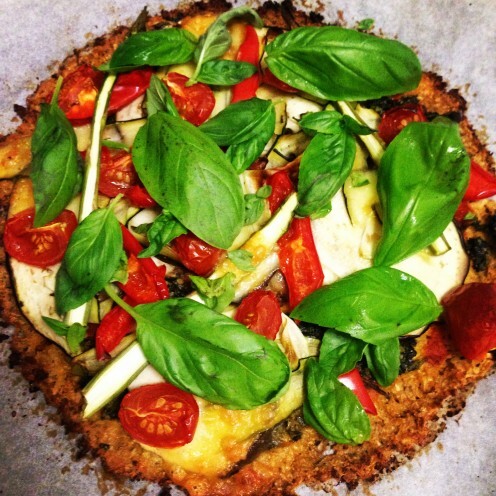 Below is the cauliflower pizza base, that is gluten free and can be varied to make it dairy free if preferred. This pizza is great for all the family and tastes as good as the real deal, you really do not miss the crust, plus it isn't laden with all the grease a chain store pizza contains. 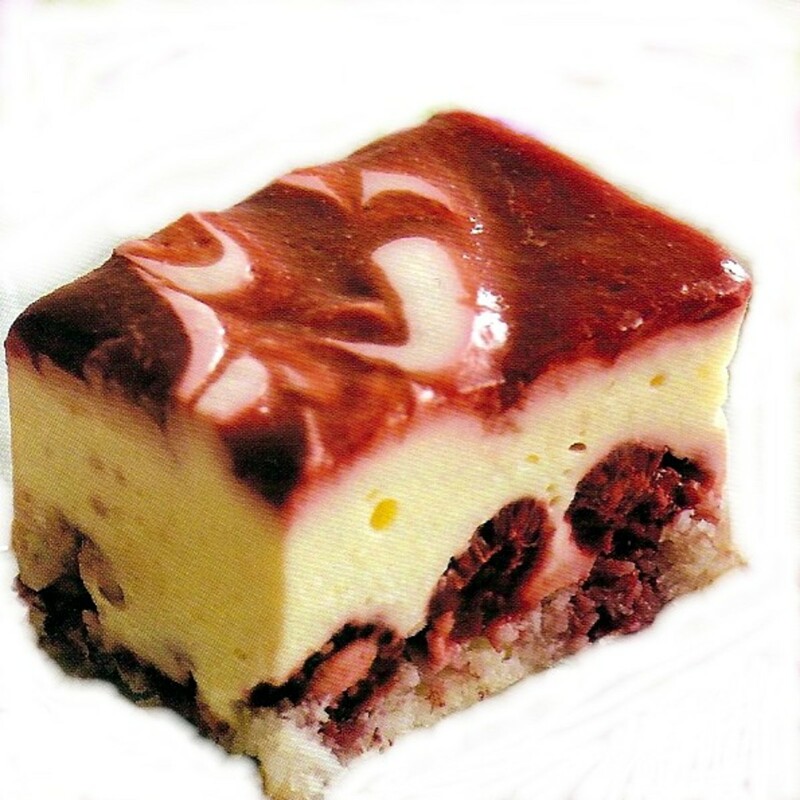 Oh and it's very easy to make, so give it a go. First pre heat oven to 180 degrees, leaving the pizza trays in the oven to heat. Now to prep your pizza crust, take the cauliflower and wash and dry. 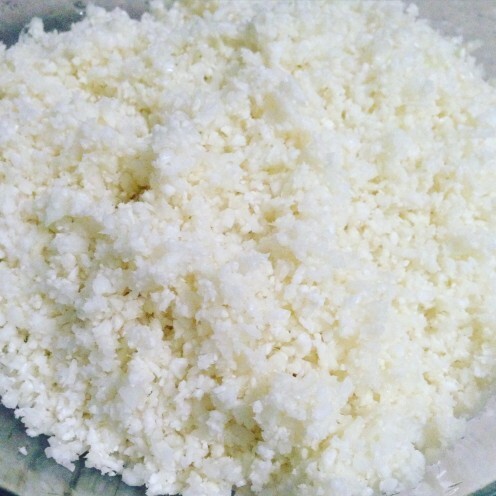 Cut up the florets to manageable sizes and place the florets into a food processor and pulse until the cauliflower resembles rice or snow. 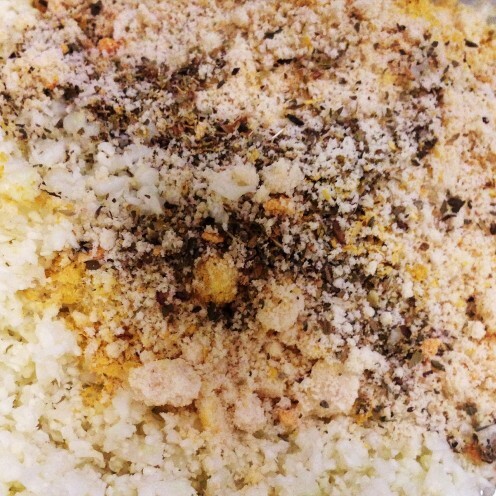 Place the cauliflower rice into a microwave safe bowl, cover and steam for 4 minutes (cauliflower should still be firm, just softened so its easier to make the crust). Set aside to cool down. The next thing is to try and get any extra moisture out of the crust, which can be a bit of a challenge. I have found the best way is it wring it out by putting into a tea towel and wrapping up, don't stress just do what you can.. Put the cauliflower back into a bowl and add all the dry ingredients, stir to combine then add to cauliflower the egg and coconut oil. After it is combined I use my hands to make sure the texture is correct, you want to be able to smooth it onto baking paper into the shape of a pizza crust. If the mixture is to wet, add more almond meal alternatively if its to dry and you cant get it to come together add a little more oil or another egg if this feels more suitable. On slightly oiled baking paper press out your crust to the base of your pizza. 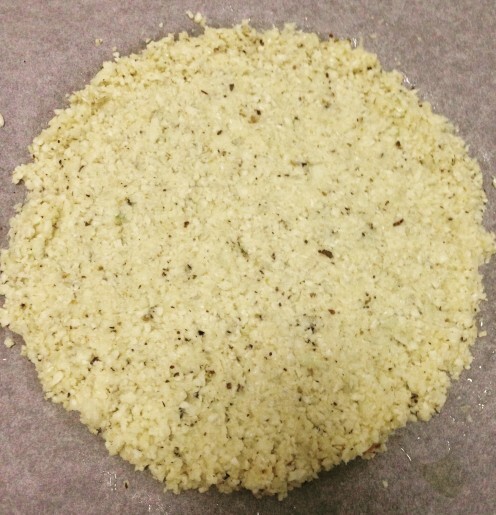 Make the crust thinner than a standard crust, but not so thin it falls apart, you want it to support the topping. Unfortunately thicker crust does not work so well with this base as it doesn't get that crunch texture real dough does. Once you have all the crusts ready (I prefer to make 3-4 dinner plate sized ones - one or half for each person opposed to one larger one, but up personal preference), place in the oven for around 15 - 20 minutes or until golden brown. Whilst this is cooking, make your kale pesto (recipe taken from book True Food, by Andrew Weil). Firstly bring a large pot of water to boil, plunge the kale into the water for 3 minutes. Once time is up remove the kale (discard water) and put the Kale into ice cold water and leave for a couple of minutes. Drain the Kale and squeeze out excess water. Put the kale and all the kale pesto ingredients into a food processor and puree until you have a smoothish texture. 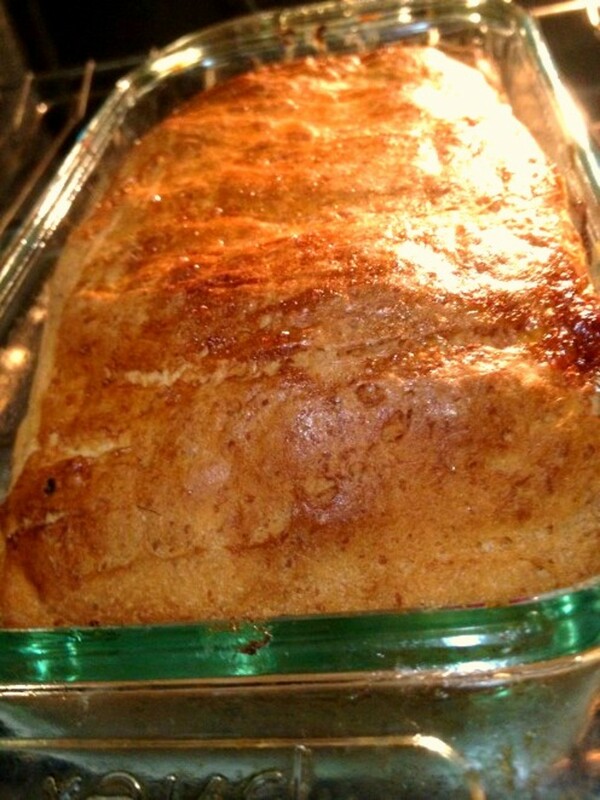 This recipe makes about 2 cups so use half now and freeze the other half for another use. Once the pizza crusts are done remove from the oven and now its time to get creative. I firstly like to put on the pesto and tomato paste for the base. I then follow with the veggies of my choice, keeping them raw then topping with cheese and a tiny light spray of olive oil to get the veggies cooking nicely. Like I said there are no real rules and if you choose to add meat or any other toppings go right ahead, just be mindful of only topping with cooked or cured meat. If you don't want to cook the pizza in the oven for so long generally another 20 minutes then you can always grill your veggies first (but I find this takes longer in the long run). 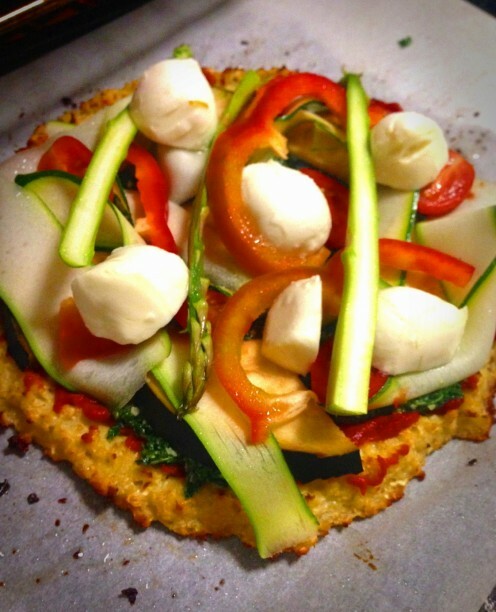 Cook pizza till the cheese is bubbling and golden and veggies appear golden and softened again around 20 minutes.